For those interested in the Civil War, and who would like to become fully immersed within it, consider reenacting in the 141st Pennsylvania Volunteer Infantry, Company A. Awake to hear the bugles as they roust you from your slumber. Experience the early light of day, the crackling fire, the Sergeant calling the roll, the red sun predicting the blood stained earth of the afternoon's battle. Stroll sutlers row where Civil War era baubles may be had. 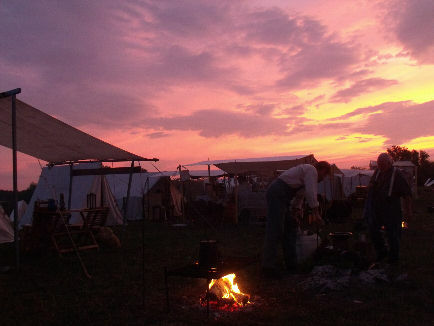 Engage in free-wheeling discussions about every possible aspect of the American Civil War. Live the night life of camp where banjos and singing echo amongst the tented fields. Revel in the camaraderie of it all as you forge lifetime friendships with other kindred spirits. Contact CompanyA@141PVI.us for more information.